Ever since Alice was old enough she has loved to do baking and crafts. 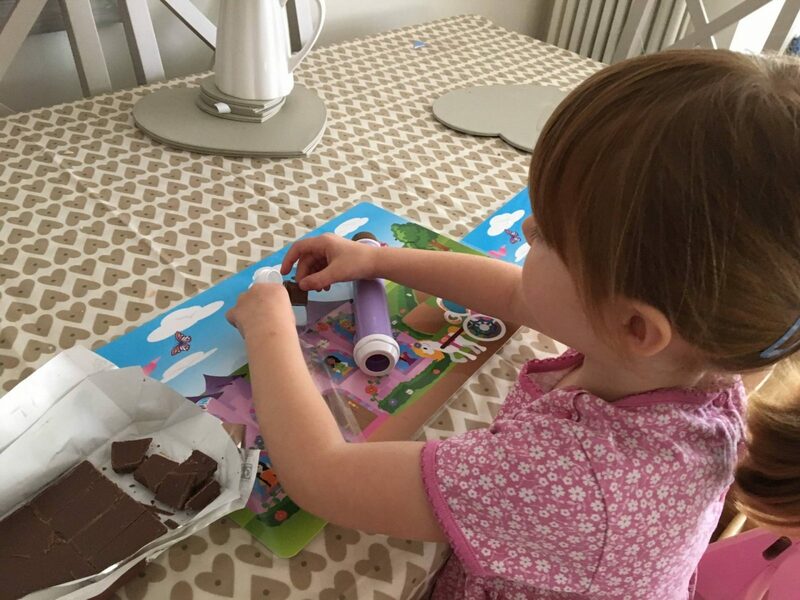 She loves to try new things and when we got sent the Real Baking Chocolate Pen from Vivid, Alice couldn’t wait to try it out. For the first two weeks of school Alice was only at school in the morning and this was a perfect afternoon activity for us to do. The Chocolate Pen set included, a chocolate pen, 3 mould trays, 4 nozzles, caps and clamps and 12 bags for chocolate. You just need your own chocolate. 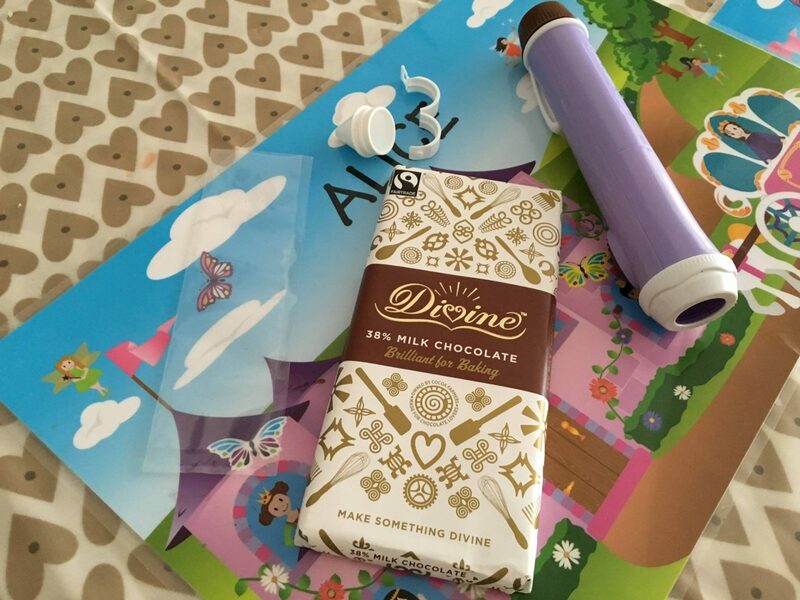 You start by filling one of the chocolate bags with small pieces of chocolate. You then insert the pen into the pouch and place a clamp round it. This was quite fiddly to do and even I struggled to do it, so there was no chance of Alice doing it. I then took the pouch and placed it in hot tap water for 5 minutes to melt. Alice watched from a safe distance and she was amazed at the chocolate pieces melting. Then you place the pouch into the pen and you are ready to go. 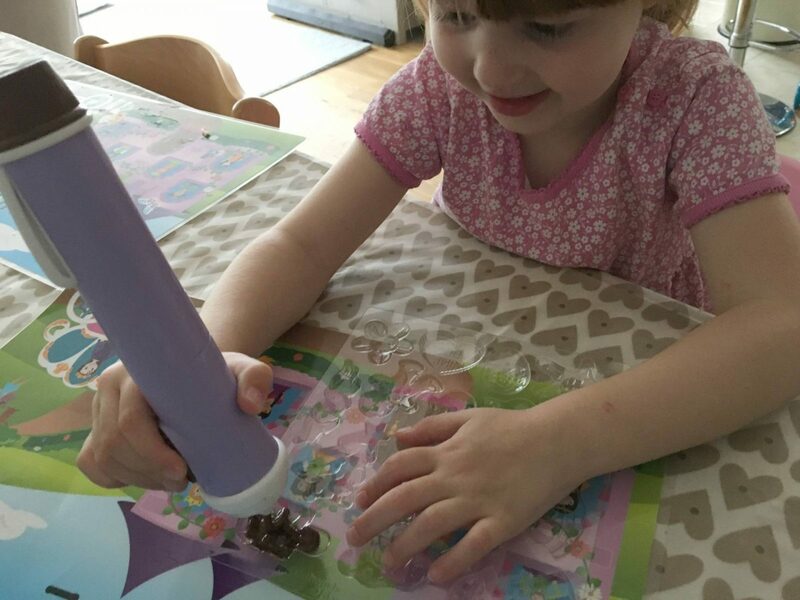 Alice decided she wanted to do the chocolate moulds, which was the perfect choice for her. 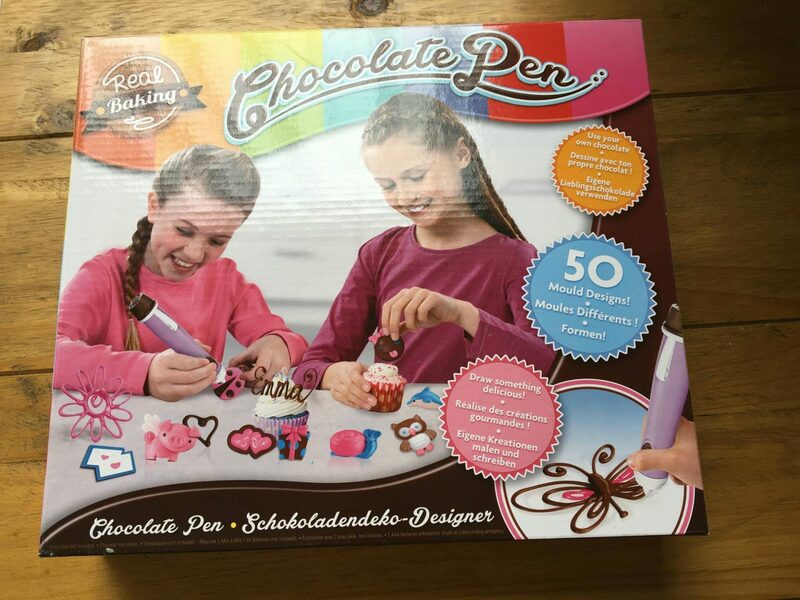 All you do is press the button on the pen and the chocolate comes out. Alice was able to do this by herself and had great fun doing it. 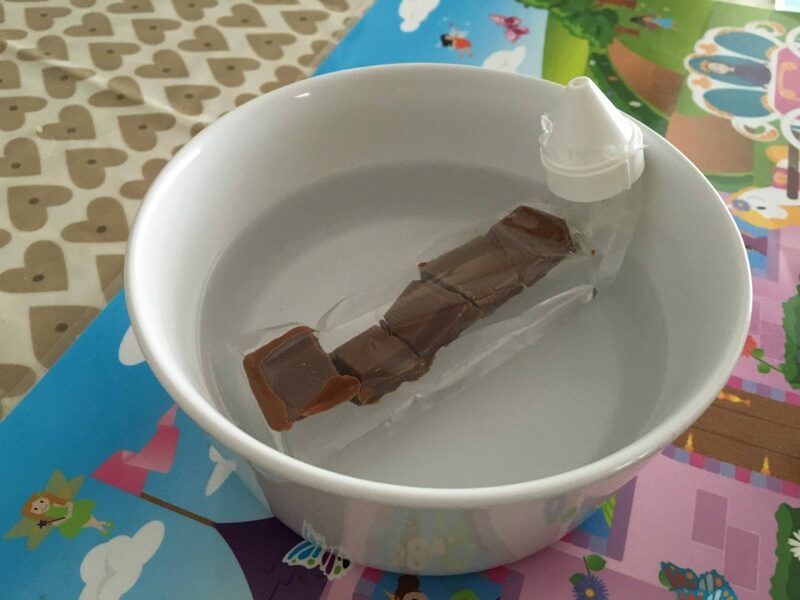 Once the chocolate had run out, we placed the mould in the freezer for 5 minutes to harden. 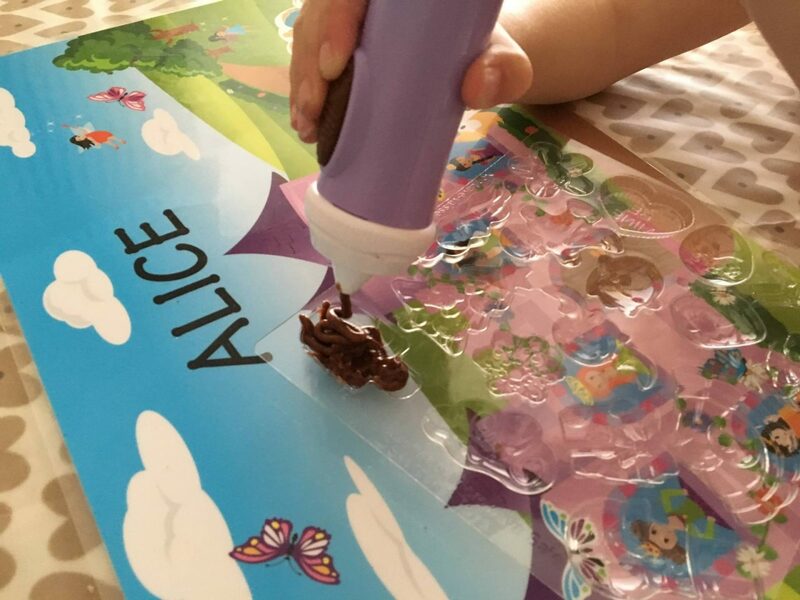 You could also do letter writing with it, but as Alice is only just starting to write with a pen, doing this with a chocolate pen would only result in disaster. Once they are hard, you pop them out of the mould. This was really difficult to do, I’m not sure if I was missing a trick! Let’s just say they didn’t look like what they should have done. They still looked good on top of the cakes and lets be honest its all about the taste of chocolate than how it looks! We were also sent the Real Baking Cookie kit. This I saved for the weekend to do with both the girls, but Holly had the attention span for about five minutes. So, it was left to my little baker Alice. 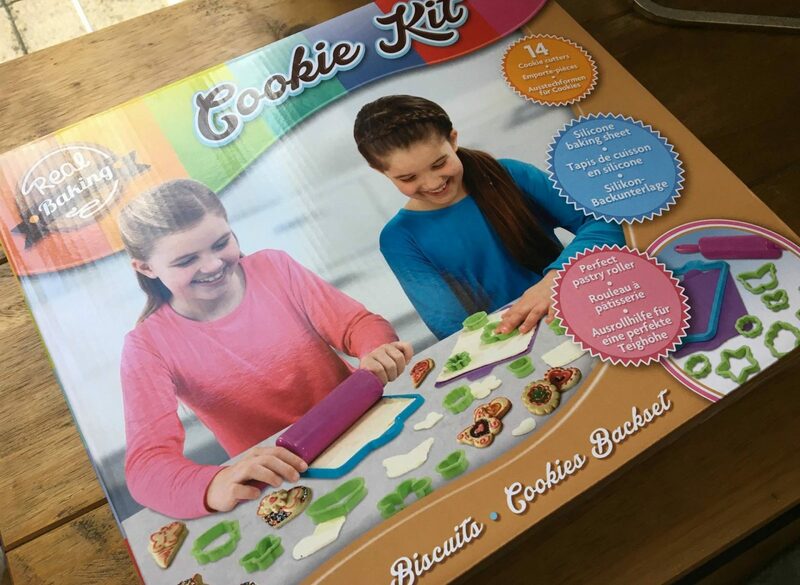 The Cookie Kit included 1 silicone baking sheet, a rolling pin, rolling pin guide, 14 cookie cutters and a piping bag and has a RRP of £14.99. 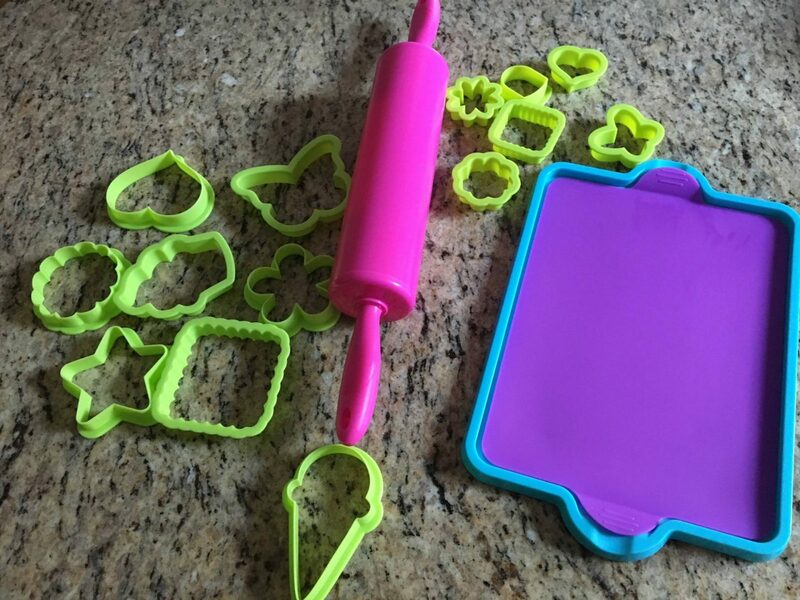 You use the rolling pin guide and silicone baking sheet to roll out the cookie dough, which is designed to make a batch of perfectly level biscuits. This is a good concept, but it is really small and therefore you can’t really make what I would call a batch. It would be good if the children were helping me and they did some and I did the rest. There are no ingredients or kitchen equipment to make the cookie dough, it does state this on the box but it would have been nice for them to be able to make the dough. We used shop brought cookie dough because of this, there was no recipe included either to assist people to make their own cookie dough. 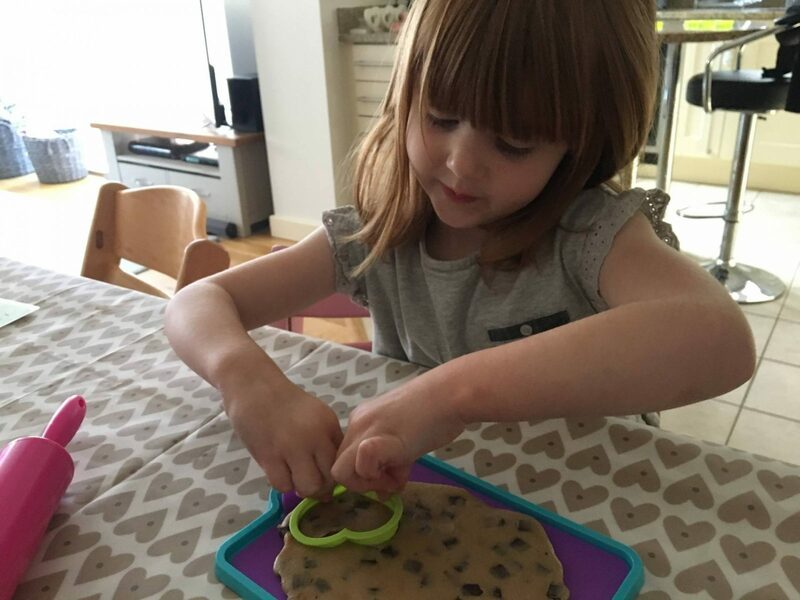 Alice really enjoyed using the cookie cutters to make different shaped cookies. With fourteen different cutters, there was plenty of choice. They had smaller versions of the larger ones, which meant we could make a hole in them. Another option is to use some icing and stack the cookies on top of each other to make 3D biscuits. It was then time to pop them in the oven. 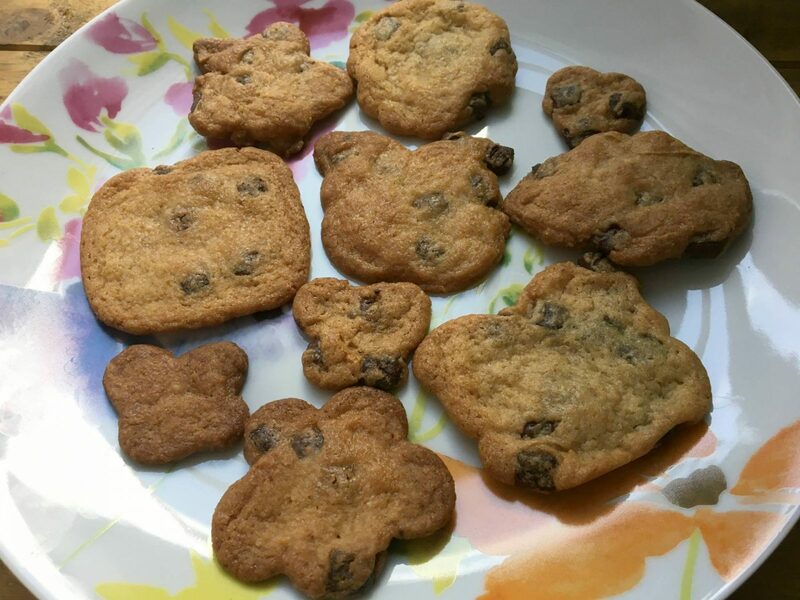 The cookies cooked well, a few of them lost their shape. But, they still tasted really nice and Alice didn’t notice. 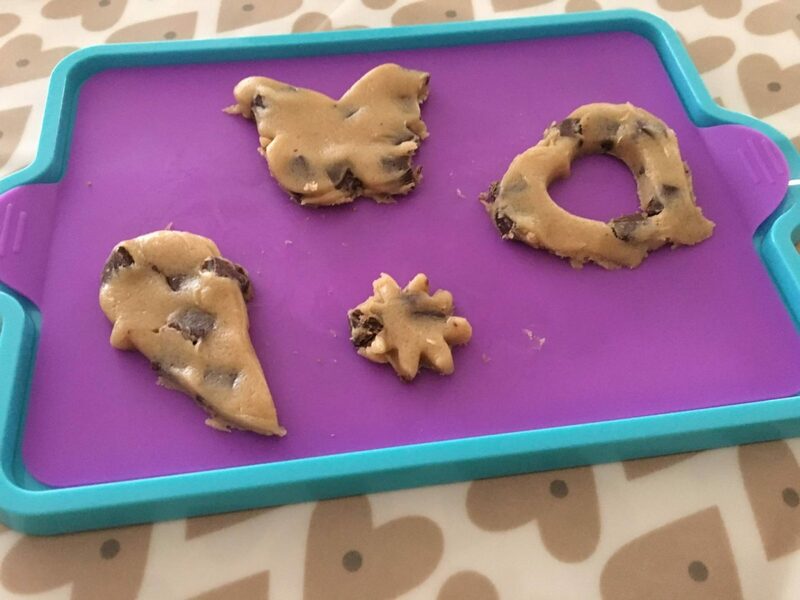 This cookie kit would be good for children who want to help in the kitchen and can have a bit of independence too. Disclosure: We were sent both products for the purpose of this review. However all views and opinions are my own. I love the look of the chocolate pen. It would make a great stocking filler! 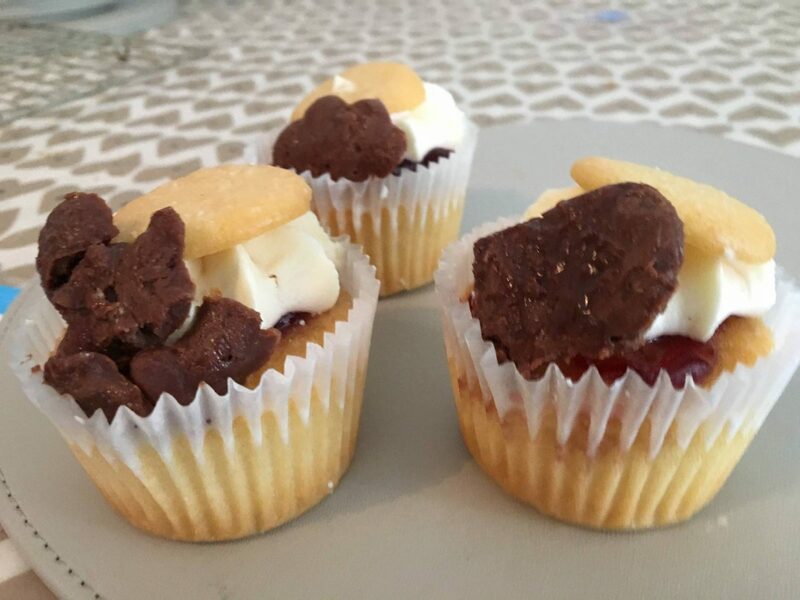 These look great for an introduction to baking for little one’s…. Oh this looks like such a great little set! The cookie cutters are nice shapes, it’s a shame the chocolate pen was a bit complicated and the moulds didn’t work out as planned. Chocolate always tastes fab though and that’s the main thing! 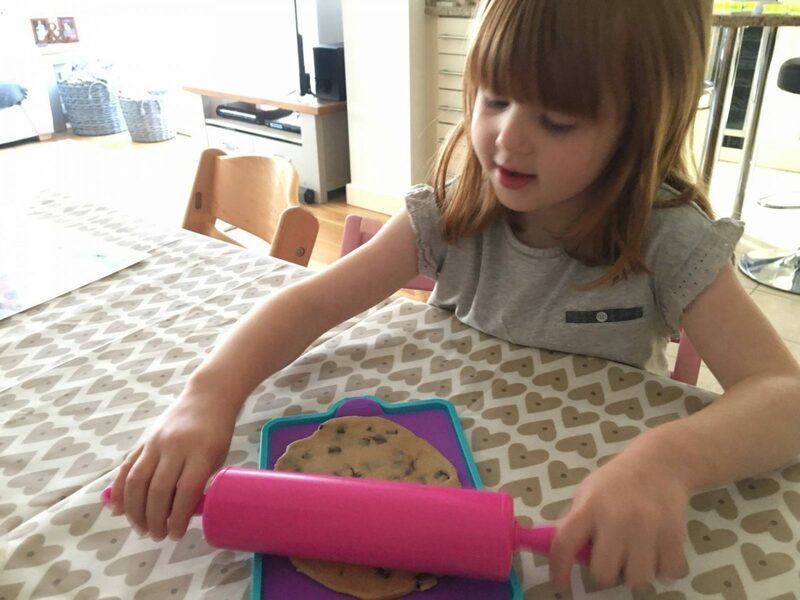 What a fab way to get little ones involved with baking.